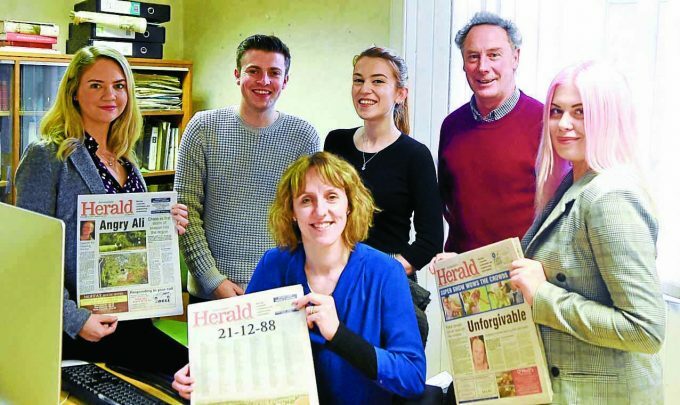 IT goes by many names – the ‘squeak’, the Herald, the ‘Lockerbie paper’ – but next month the Annandale Herald could have another title . . . Scottish Weekly Newspaper of the Year. For we are delighted to announce that mid Annandale’s most local newspaper is one of six finalists shortlisted for the prestigious prize in the Scottish Press Awards. And it’s fingers crossed that our selection of local news, views, sport and features will be enough to sway the judges. Editor Fiona Reid said: “We submitted three different editions of the paper from last year, including our tribute issue for the 30th anniversary of the Lockerbie Air Disaster, and we were over the moon to find out that we are finalists. The winner will be revealed at an awards night in Glasgow on April 25.